Download KidsBank free via AppsHawk. 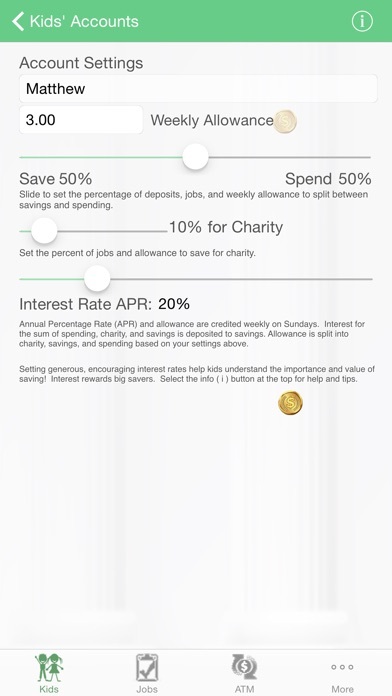 KidBankâ„¢ tracks kidsâ€™ money, allowance, jobs, charity, and pays interest for saving. 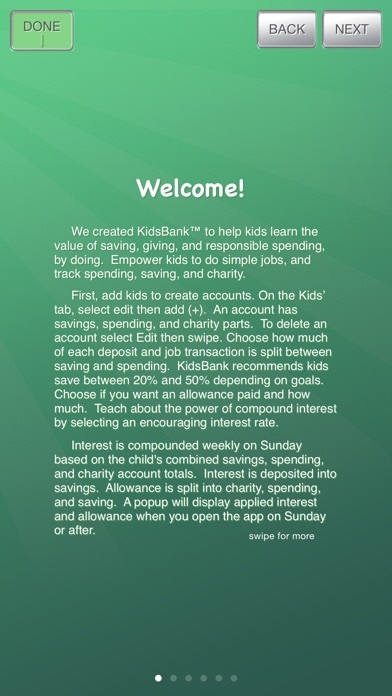 KidsBankâ„¢ teaches children the value of saving and responsible spending, by doing. 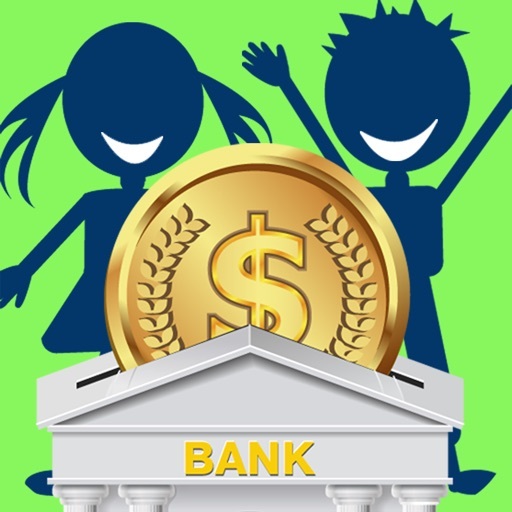 Keep track of your children's money, empower them to do simple jobs for extra money, and track their spending in this virtual bank account app. 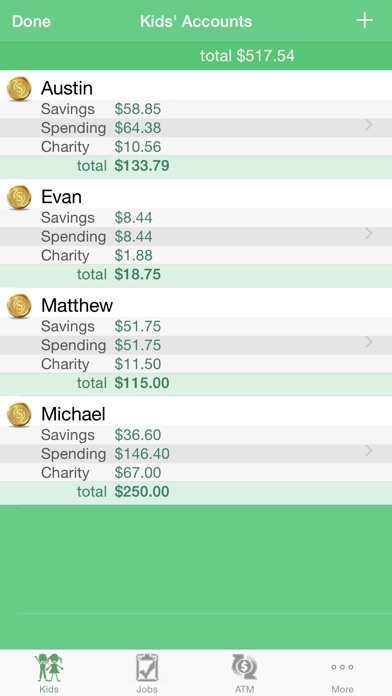 KidsBankâ„¢ is a great way to track birthday money, allowance, and spending. A simple, clean user interface provides a fun and easy money management tool with an ATM styled interface. Take the app shopping, and when your child asks, â€œCan I buy that?â€, you can offer them the opportunity to make a decision to buy with their own money. 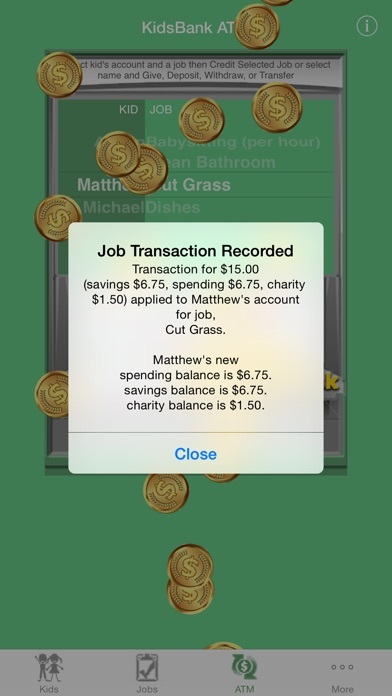 Check balances on the Apple Watch. Easily and quickly record the transaction in KidsBankâ„¢. When children spend their own money, it is amazing how responsible they become in making good choices. Add special vacation spending money to their account and track their souvenir spending. Children learn to take pride in their work and complete simple recurring jobs beyond the chores you expect them to do as a family member. Reward them for doing age appropriate jobs of your choice such as cutting the grass, doing the dishes, or taking out the trash. 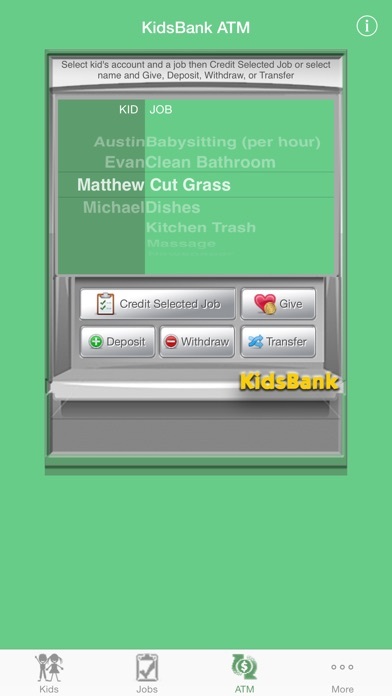 Print a KidsBankâ„¢ Fridge Sheet and post it on the refrigerator and your children can check off completed jobs and record deposits and withdrawals.